In the privacy of her motherâs tent, a 15-year-old bride prepares for her wedding. 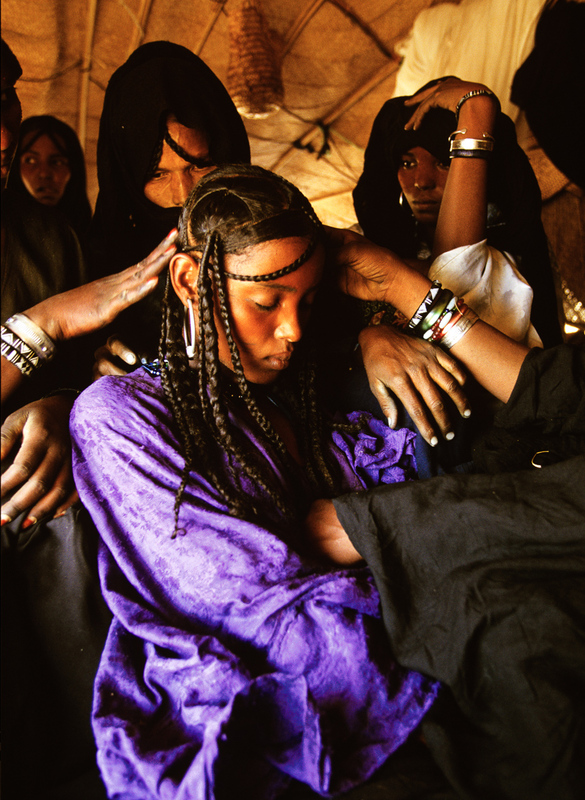 The wife of the blacksmith plaits her hair: the Tuareg insist that a brideâs hair must be dressed by a woman of the smithâs family or else the girlâs hair will fall out during the first two years of marriage. Her grooming completed, the bride begins a week of ritual seclusion before the wedding.